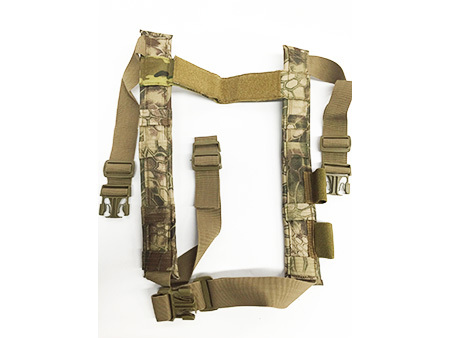 - Padded H-Harness Shoulder straps are 2" Wide for ultimate control and comfort. 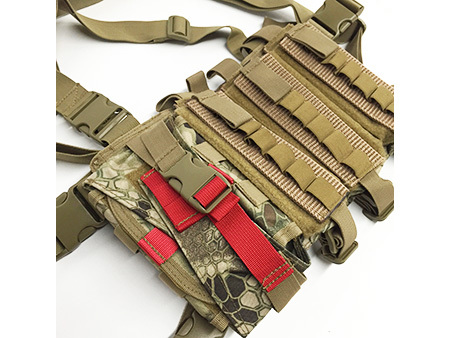 - Has 2 pieces of pals on the lower front harness. Perfect for tourniquet, light or other devices. 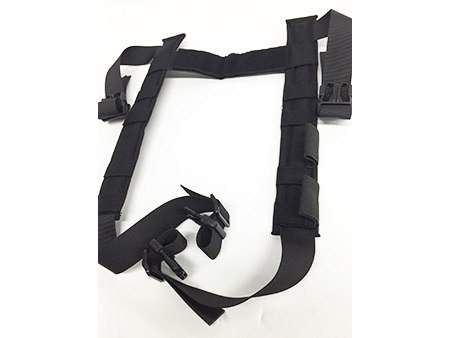 - Rear cross support is Velcro'd so you can adjust to fit. 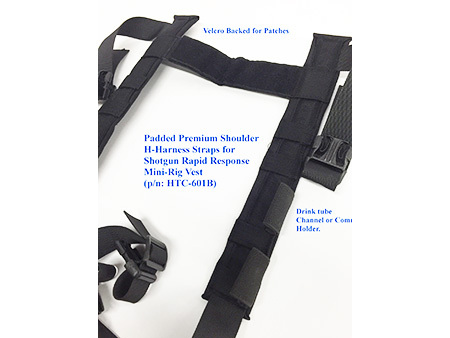 - Backside also has loop velcro to attach Designation Patches.